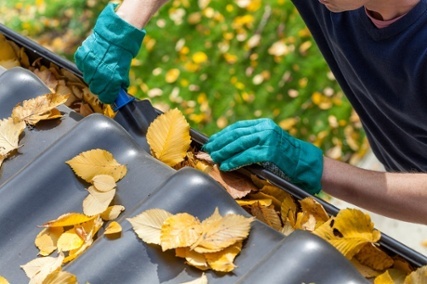 Fall Home Maintenance Tips for Homeowners! A few weeks, our niece looked up to our skyline window and said: “eww” while she was visiting our home in Mount Washington, Los Angeles. We know it’s about time to sweep the pine needle leaves off our roof and clean all skyline windows. It was an easy task and we feel so great to finish it. Here are a few Fall home maintenance tips for you. Fall is a popular and ideal time for home maintenance. It can also be daunting for many homeowners to think about seasonal projects that help keep up their property values. But many things can be done without having to hire someone to do it. Here are some projects to share with your clients, whether they’re getting their home ready to list this winter or just want to keep the value up. Roofs. The importance of a secure roof can’t be stressed enough. Roofing issues can be complicated and expensive to fix when allowed to linger too long. Simply walking the property and looking for any obvious problems before the weather prohibits repair is always a good idea. If a problem is discovered, homeowners should have their roofs inspected by a professional as soon as possible.